The light winds gave the A Class Classic Catamarans an advantage over their foiling course mates, who did not have enough wind to take advantage of their foils. It will be a different story when the wind picks up, but today it was a standout performance for Bob Webbon, who had three first-place finishes. Webbon, who traveled from Seabrook, Texas, felt prepared today having recently returned from the world championship in Australia in November where he finished in fifth place. 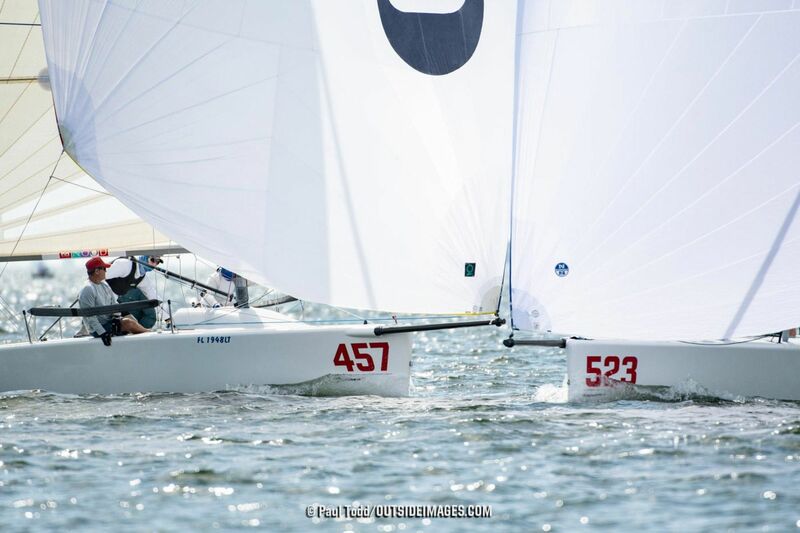 “I put a lot of work into the boat and before I went to the worlds I spent a lot of time practicing, getting the boat together and getting in shape. Quite a few of the guys were there and we just got our boats back from the containers,” he says. 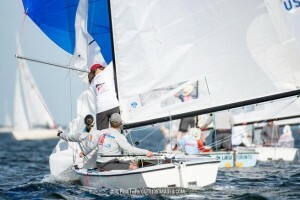 The competition was not lost on Maddy Ploch sailing on the J/70 circle. 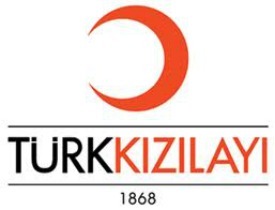 The high school student jumped into the boat for the first time in over a year and a half. 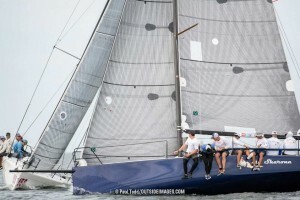 Despite shaking off rust today she and her crew – including her father as tactician – finished the day in third overall. Ploch’s forte is offshore long-distance racing – she has a few thousand miles under her belt from racing to Bermuda twice and doing boat deliveries – but she is no stranger to NOOD regattas having competed in her first one when she was 12 years old. A unique class at the events is the Flying Tiger class, who have traveled here as part of a clinic, with practice leading up to the racing. Reed Baldridge, a coach in the leading boat, Team Torch, says the sailors, led by skipper Bill Wagner have been sailing together for some time. “It’s been a really good transition for them to use their experience together in a new boat,” Baldridge says. “They work really well together and have good communication and sail really well.” During the beginning of the week during the clinic, the team had trouble with upwind speed and boat handing. “I let them learn a few things the hard way and helped them out a little bit with aspects of the racing,” he says. The takeaway for this team was staying consistent in their fleet. 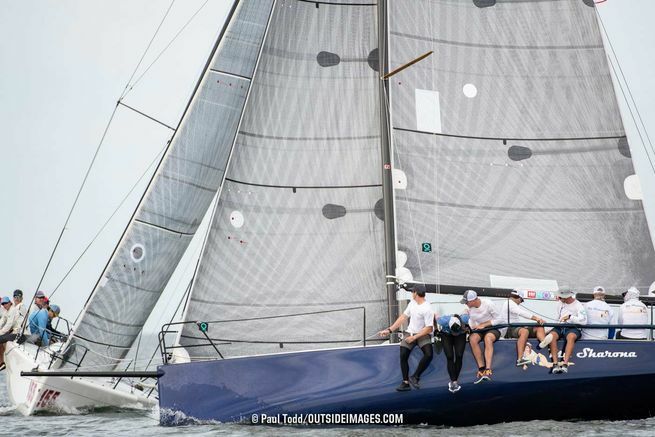 Another team that has come together for the Helly Hansen NOOD St. Petersburg is the Gen 5 crew in the Lightnings, who raced at the NOOD St. Petersburg two years ago. “Sailing in the NOOD is our magic,” says Steve Hayden who is joined by tactician David Hood and bow Amy Simonsen. “We teamed up at this event three years ago and were lucky to win This is the first time we have sailed together since then,” he says. Their scheduled aligned and they are able to reunite this weekend.